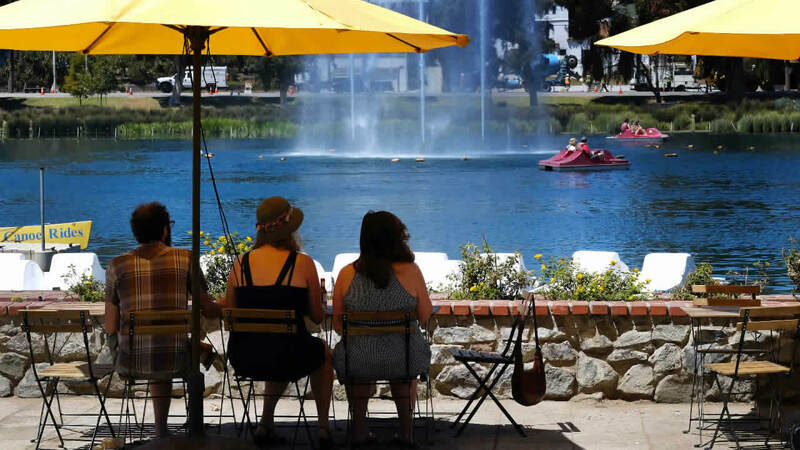 FILE: Visitors to Echo Park Lake near downtown Los Angeles shade themselves under an umbrella as paddle boats keep close to a large fountain to keep cool on Friday, Aug. 14, 2015. SAN FRANCISCO (KGO) -- Many of us think California is a great place. Now, there's more proof. The United States Department of Agriculture ranked the best and worst counties in America. The top ten are all in California. The rankings are compiled according to the natural amenities index, which is determined by six measures including scenery and climate, specifically, traits like warm winter, winter sun, temperate summer, low summer humidity, topography and water area. Ventura County in Southern California came in at number one, followed by Humboldt and Santa Barbara counties. The top two Bay Area counties are Santa Cruz at number 12 and Contra Costa County at 13. The worst place in the country is said to be Red Lake County in Minnesota.